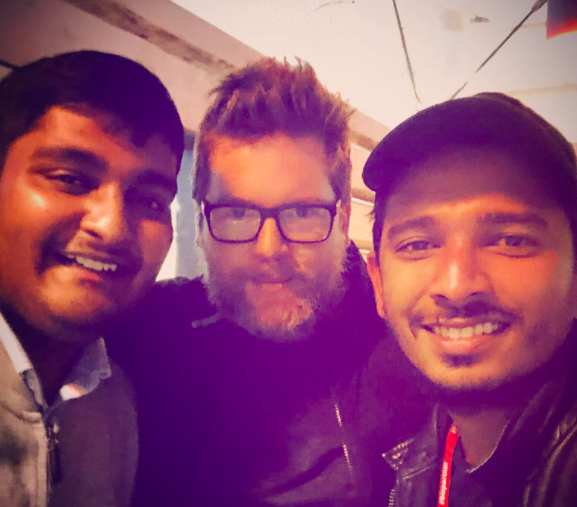 Visit’s Anurag Verma (extreme left) with Twitter’s Biz Stone (centre). Twitter, Medium and Jelly co-founder Biz Stone has invested in a Delhi-based artificial intelligence-powered chatbot Visit. This news comes hot on the heels of other tech giants investing in Indian startups. Visit, a brainchild of students from Birla Institute of Technology and Science (BITS), Pilani, is about connecting patients and doctors via an AI-powered chatbot. Users here can get health advice, and assistance, and information from noted doctors. Visit is an AI-powered chatbot where people interact by sharing symptoms. The bot follows up with relevant questions to collect more symptoms and risk factors, for example, is the person hypertensive, diabetic, a smoker, etc. The bot thus decides the order of treatment via conversational and low stress method. Quoting World Health Organisation and other studies, Stone said the world suffers from a shortage of at least 7.2 million health-care workers. “In India, for every doctor there are 2,000 patients lined up in-clinics — waiting for hours. Accessibility to quality health advice is an overwhelming problem in a country with over 200 million people affected by lifestyle problems like stress, chronic conditions, obesity, skin conditions, and more. This is where the technology approach by Visit comes in,” he wrote. According to the report, Visit currently has a pool of 2,200 doctors which include psychologists, dieticians, dermatologists, sexologists, gynaecologists, preventive cardiology and paediatrician, apart from general physicians.